Ask these sample Business Development Representative interview questions to evaluate candidates’ skills and hire the ones who best fit your company’s needs. Business Development Representatives cultivate relationships with potential customers and actively seek new business opportunities. They usually work under the supervision of a Business Development Manager, who sets team and individual goals. This position is highly important, as business development representatives are responsible for boosting sales and achieving long-term business growth. During your interview process, look for candidates who demonstrate enthusiasm for meeting sales quotas. This role requires contacting many potential clients every day and promoting your company’s products/services. Opt for candidates who are motivated, take initiative and are results-driven. Business Development Representatives frequently collaborate with internal teams (e.g. sales and marketing), so strong communication skills are essential for this position. As with all positions that involve customer contact, focus on candidates who are professional and can positively represent your company. 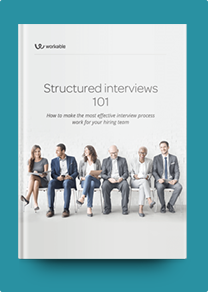 Situational questions help you understand how potential hires manage job-related challenges. For more senior roles, use sample Business Development Manager interview questions to learn more about candidates. We are considering developing our business in [X] market. Based on what you know for our company and competition, what are the pros and cons of this strategy? How would you implement it? You’re trying to contact a potential client, but they keep redirecting you to different employees. How would you find and contact the most appropriate person? Where would you look for new business opportunities? You’re in a promising meeting with a high-potential client, but it’s running late. You may be late to your next appointment. How would you handle the situation? Describe your responsibilities when assigned a new potential client. What’s the first thing you do? What sales techniques are you familiar with? Which methods do you find the most and least effective? Why? Do you have experience with CRM software? If yes, which tools have you used? What data do you need before contacting a potential client? Have you ever failed to reach a sales quota? How did that happen and what did you learn from the experience? This role can be repetitive (presenting the company and our products/services to multiple clients every day.) What keeps you motivated? What’s your biggest professional success so far? What do you want to achieve next? Describe a time you had to deal with an angry customer. How did you handle the situation?